Please follow Kit Angel on facebook for details of pop up shop opening dates. When the pop up shop is not open, you can still order uniform. Lucy takes email enquiries and orders over email at all times and ensures orders are delivered to you at your child’s next class whenever possible. Visit the website at www.kit-angel.co.uk for more details. 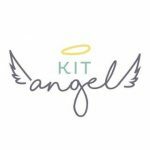 Kit Angel takes payment via cards, cash or cheques (Made payable to Diane Birkely) you can also use bacs however no order will be processed until the payment has been made. Any questions about uniform please send Diane a message via her Kit Angel facebook page or here. Follow Kit Angel for the latest stock items and promotions!